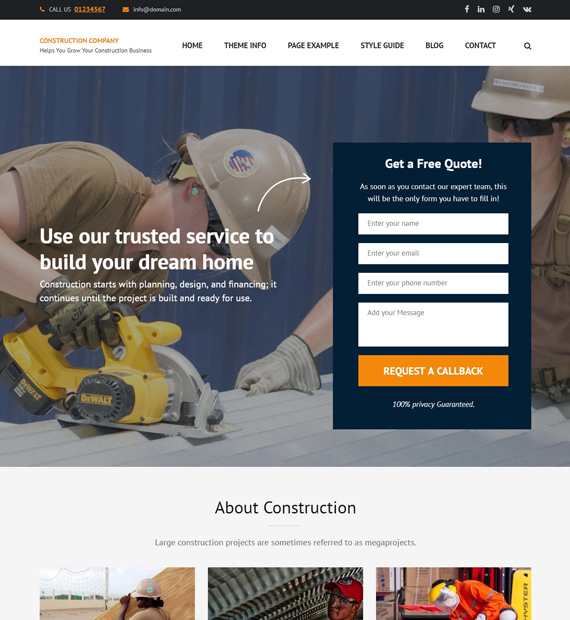 Construction Company is a perfect WordPress theme for construction based business websites. This free theme is suitable for builders, architects, handymen, packers and movers, and interior design companies that want to create a unique and effective landing page website for free. You can showcase your services, portfolio, top clients, testimonials, and other aspects of your company on the home page and then ask visitors to take action with a Call To Action button. Customize theme settings and site appearance (configure site’s identity, color scheme, menus, widgets, background image, etc.) with real time live previews. Feel the power of default front-end editor.